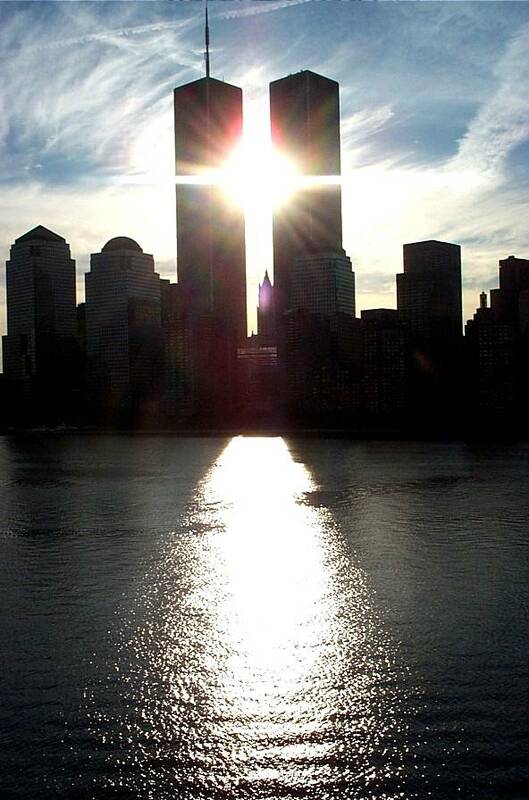 12 years ago today, I woke up to a new beginning. It was my first day of working for myself. It was also 9-11. After leaving Marie Claire Magazine to start my own event planning firm, I had a few corporate and non-profit clients already lined up. My mom called a little after 9 am and told me to turn on the TV. As I watched the replay of the plane crashing into the first tower, debating whether it was terrorists or just some crazy accident, the second plane hit and my legs collapsed from under me. I spent the day trying to track down every friend who lived and worked downtown. Many hours (and lots of tears) later, streams of people, covered in white ash, passed by my apartment building like ghosts. Silent, shell shocked zombies making their way home. I remember thinking “The world will never be the same”. 9-11 made people, especially New Yorkers, very emotional. Loss, Anger. Fear. Sadness. Vulnerability. To name a few. But for some, it was a wake up call to get married. Weddings in New York rose by 20% following the attack. Over and over again, I heard couples say “What are we waiting for?” And so, much to my surprise, I began planning weddings. For me, 9-11 validated my decision to leave Marie Claire and start my own business. And 12 years later, I can honestly say that I’ve never been happier. And I can also honestly say, I will Never Forget. ← International postage for reply cards; To Stamp or Not to Stamp? That is the Question.